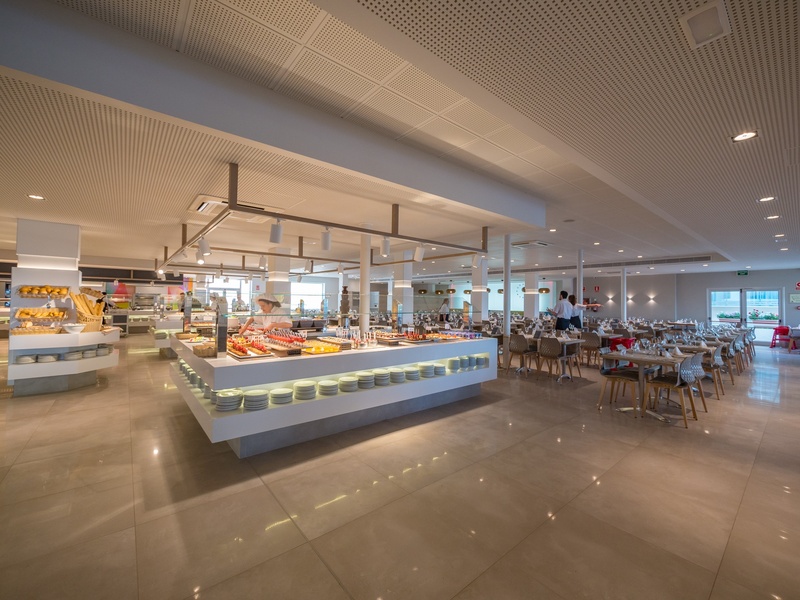 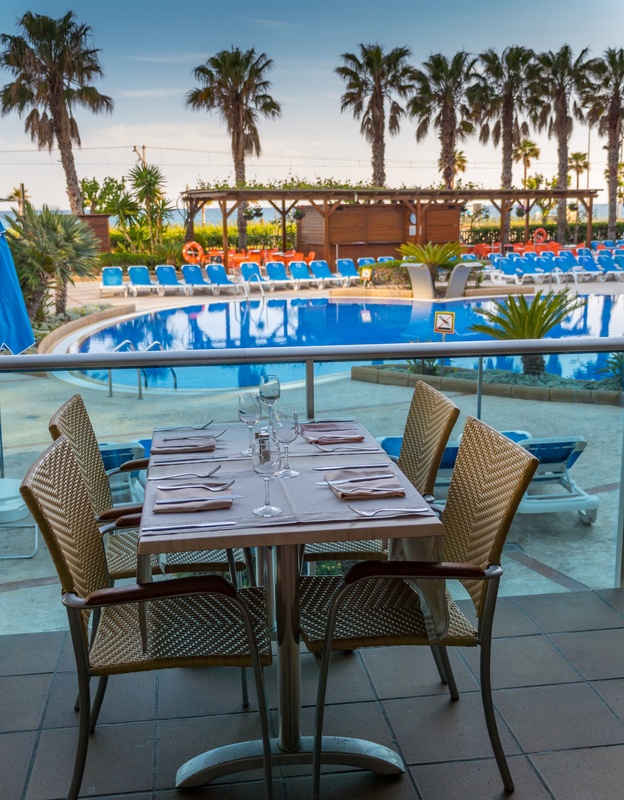 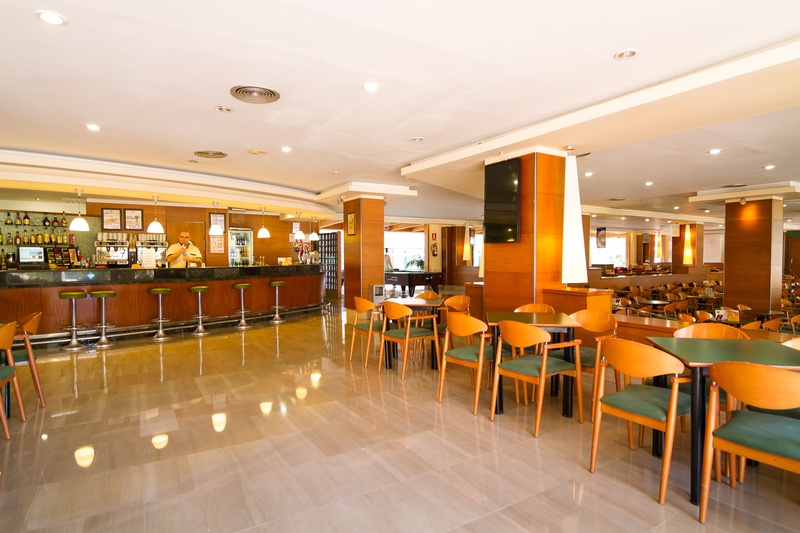 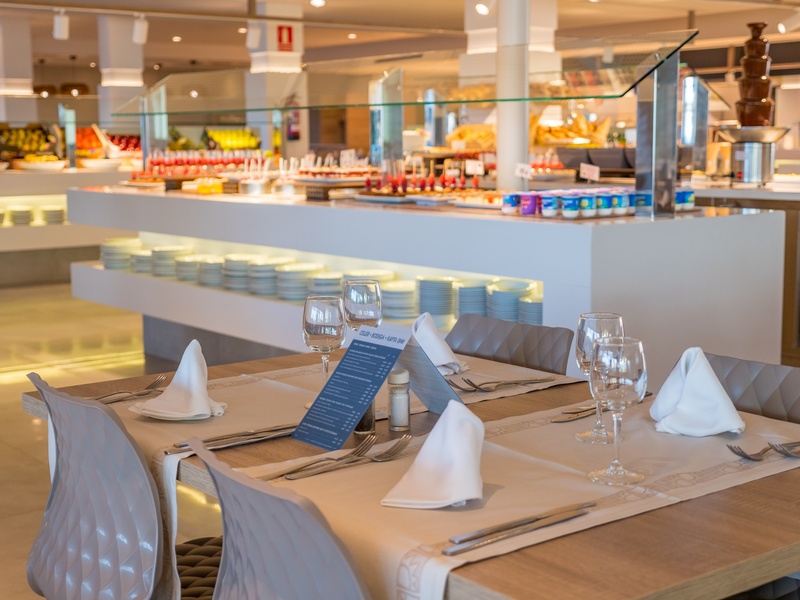 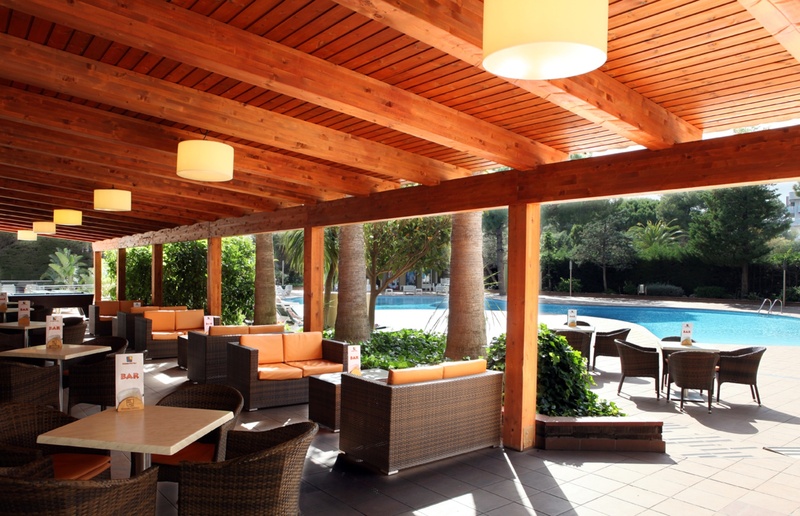 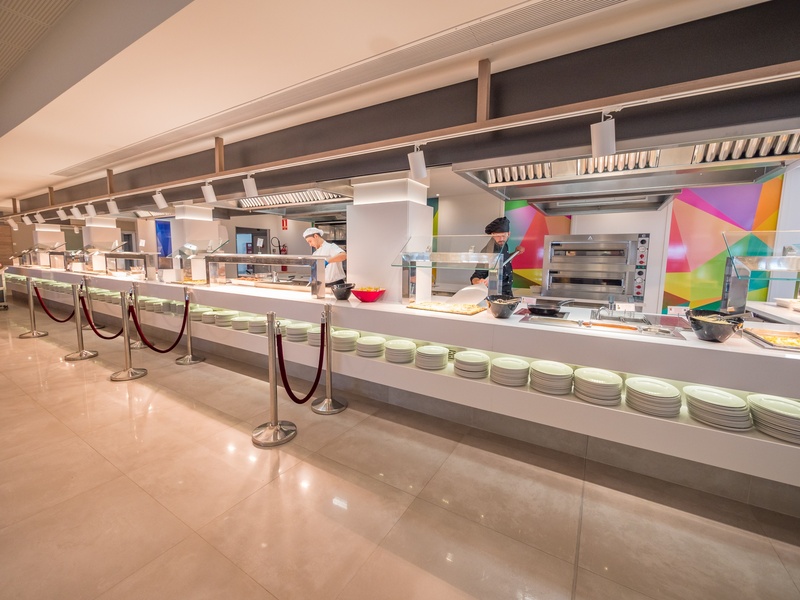 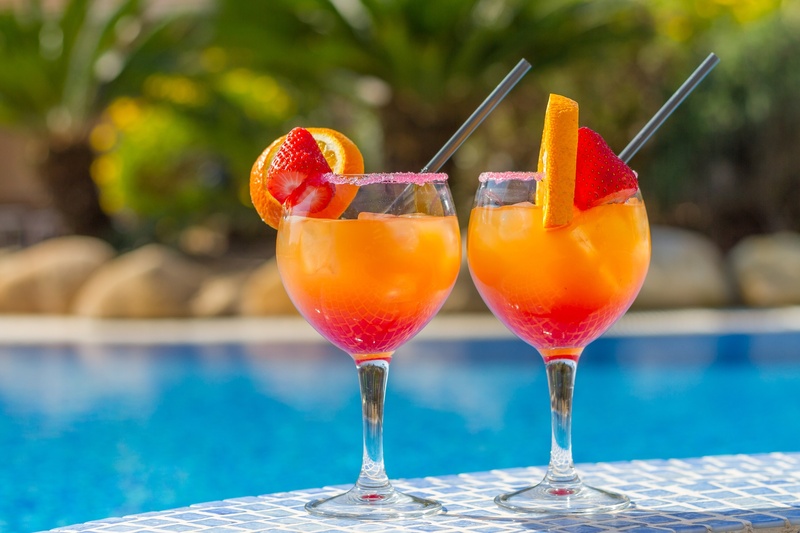 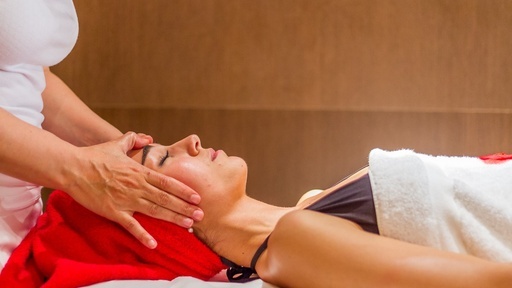 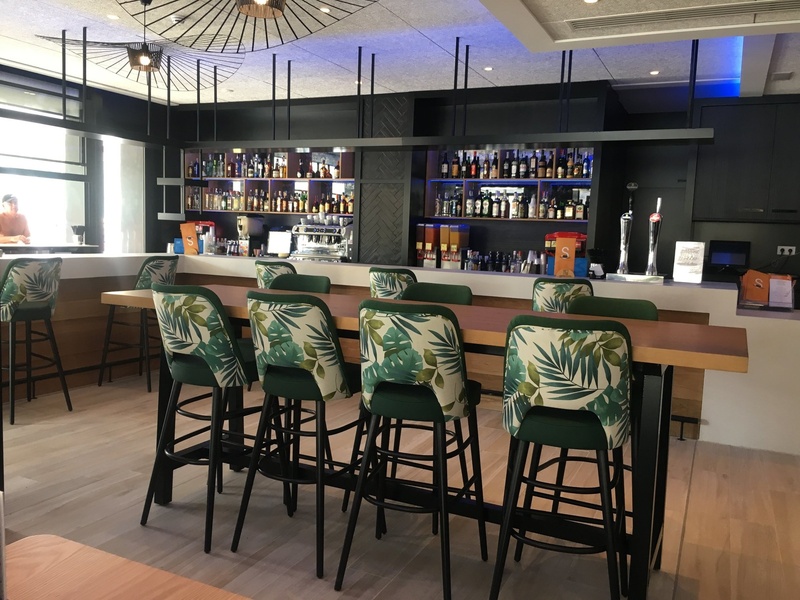 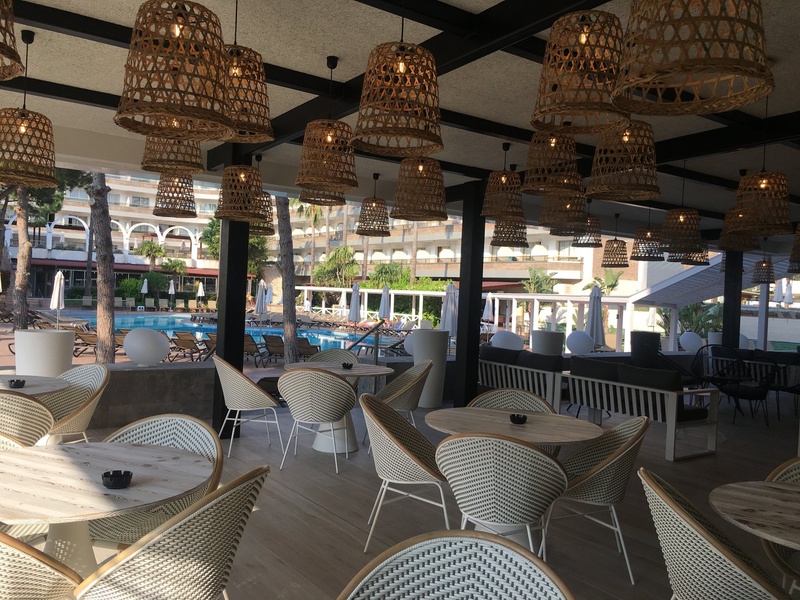 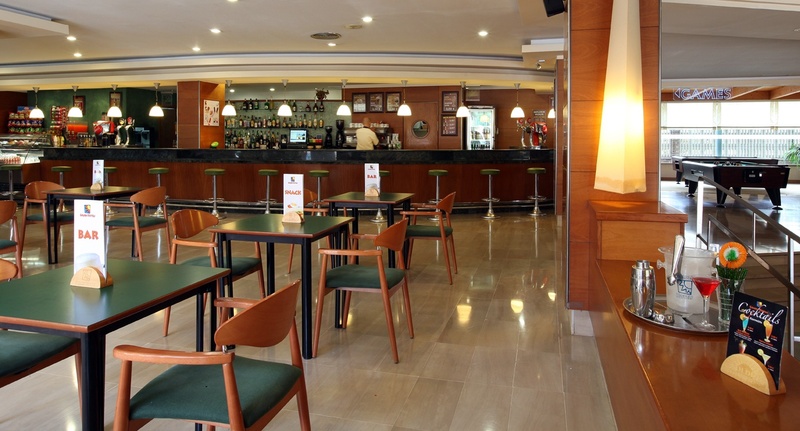 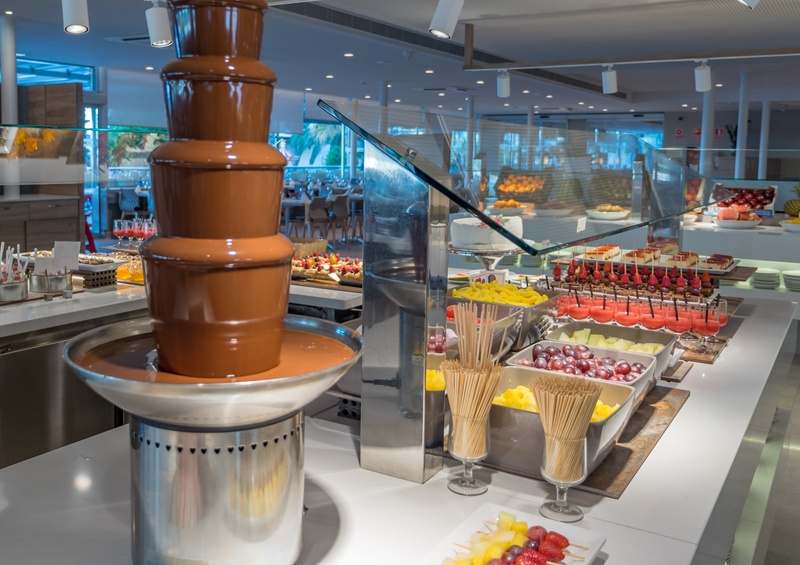 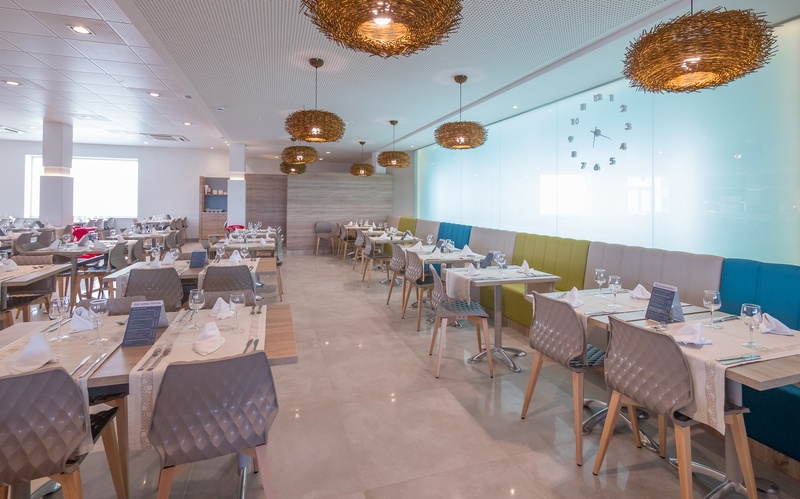 Our Costa Dorada Restaurant with buffet and live cooking offers a varied and varied offer, with options for all palates and food needs, including dietary dishes and alternatives for celiac and vegetarians. 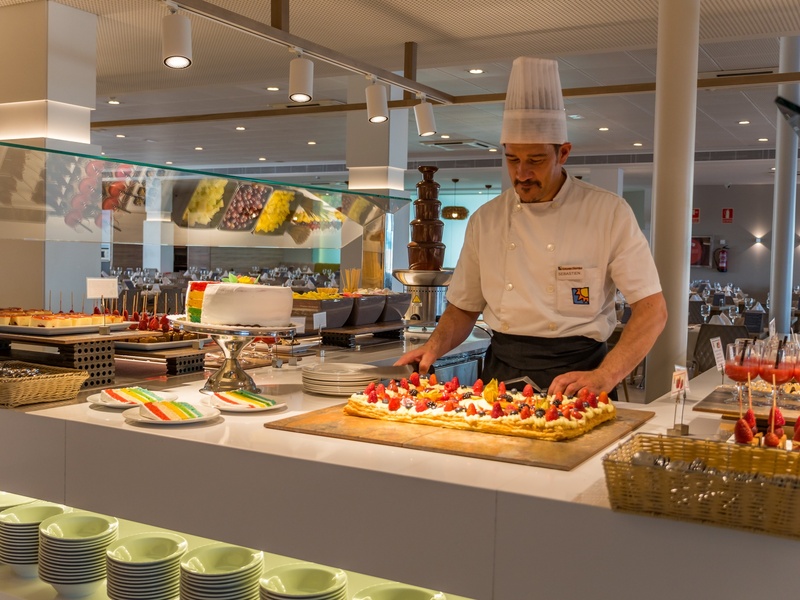 Taste our chef's specialties in a buffet that includes hot and cold dishes, traditional recipes and an extensive assortment of desserts with homemade cakes. 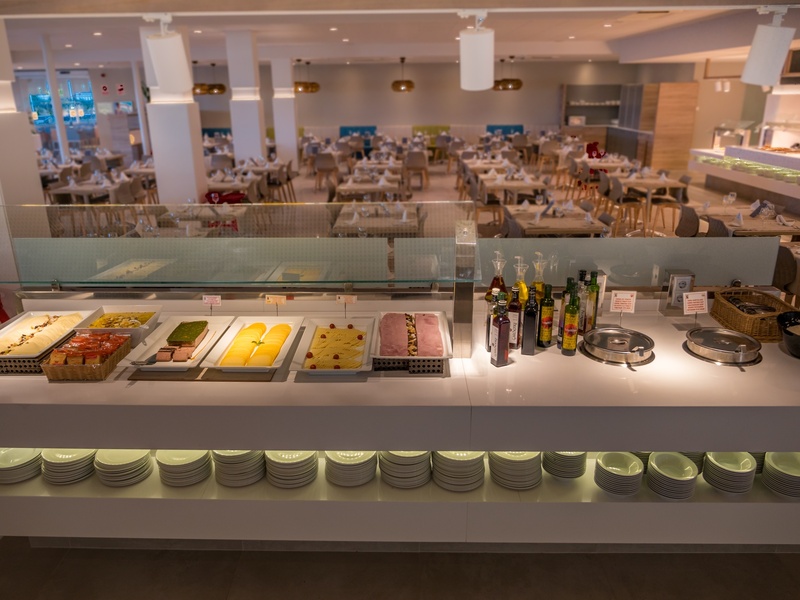 (Note: The hotel does not substitute any meals for a picnic service. 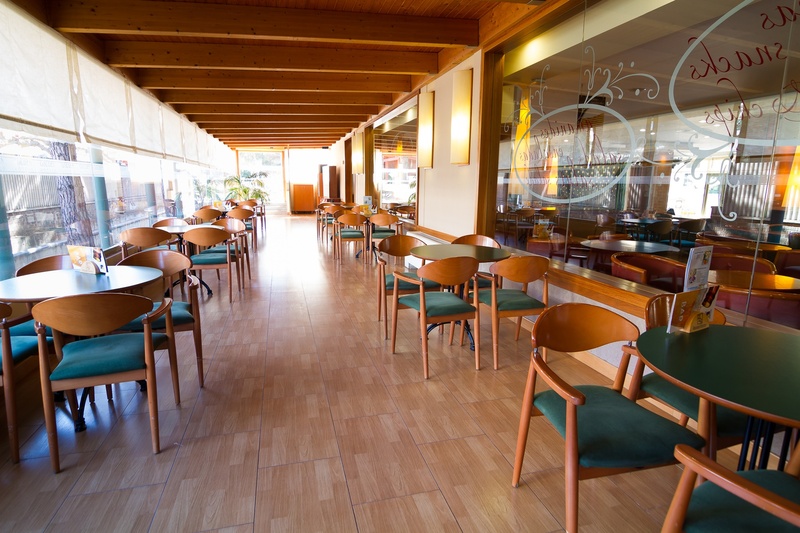 Drinks are not included in the services of lunch and dinner except in case of period offered). 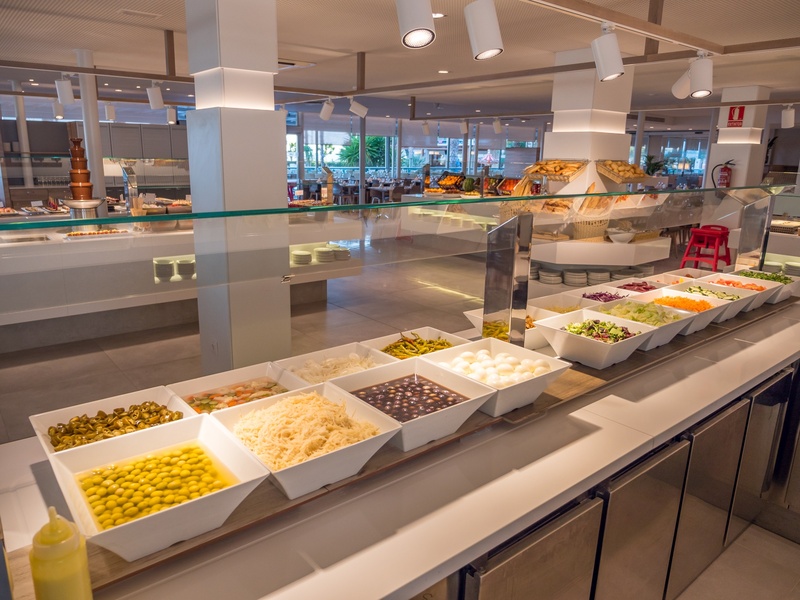 On the other hand, if you fancy a snack outside the hours of the buffet restaurant, you can find all kinds of sandwiches, salads, mixed dishes, ice cream and a long etcetera in our main Bar, which has terrace and live shows every night. 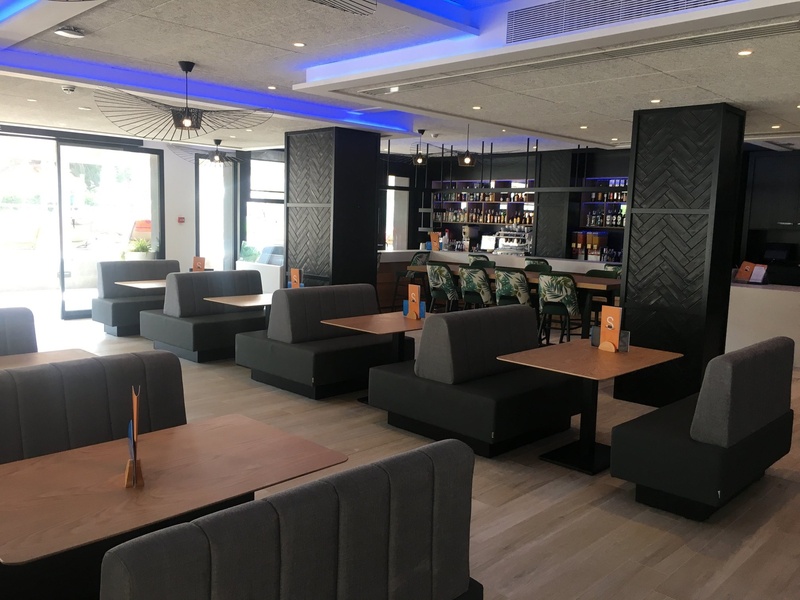 You have to come to our new Casual food & drinks, come and live it!